Why promote RSPCA Pet Insurance at your vet clinic or shelter? 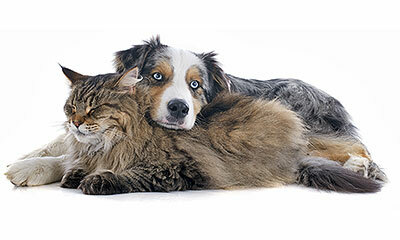 When a customer chooses to protect their cat or dog with RSPCA Pet Insurance, they also assisting in protecting other Australian animals in need,with a portion of their premiums going to the RSPCA. Andrew Byrne: I’ve been a practicing vet for over 28 years and there have been so many diagnostic and medical breakthroughs which have enabled us to diagnose and treat injuries and illnesses that could potentially be fatal for a cat or dog only a decade ago. These medical advancements help us save more lives but they can come at a cost, which is why having a financial plan in place, like pet insurance can be so important. Your client will need to download a Claim Form or call RSPCA Pet Insurance on 1300 855 150 between 8:00am and 8:00pm AEST, Monday to Friday. They will complete "Part 1" of the form and sign. Your client will then ask you to complete "Part 2" of the claim form. Take the form to your vet, and ask them to complete their sections, making sure they include their practice details on the attached invoice.